History: The first plantings date to the early 1970s. Amity Vineyards was founded by Myron Redford in 1976. The Casteel family along with Pat and Barbara Dudley and Marilyn Webb arrived in 1977 and opened Bethel Heights Winery in 1984. Evesham Wood and Witness Tree settled in the Eola Hills in the late 1980s. Cristom Vineyards founder Paul Gerrie was searching for vineyard property in 1991 with the assistance of Beaux Freres winemaker Mike Etzel. He found a neglected vineyard in the Eola Hills owned by a winery called Pellier, managed by a member of the family operating Mirassou Vineyards. 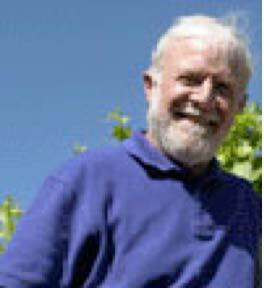 In 1992, Gerrie bought the property and created Cristom Vineyards. Geography: The Eola-Amity Hills appellation is located in the center of the Willamette Valley, half way between Portland and Eugene and south of the other five sub-appellations. The Eola Hills straddles the 45th parallel on the southern end and the Amity Hills make up the northern spur. The main ridge has a seahorse contour, running north to south with many lateral ridges, primarily at elevations of 250 to 700 feet above sea level. The most prominent geographic feature is the Van Duzer corridor directly to the west, which is the largest gap in the coastal range of mountains. The west side is more exposed and the coolest, while the east facing slopes are warmer. The largest concentration of vineyards is in the middle of the hills, providing protection from the marine incursion from the west. The wines of Eola-Amity Hills are different depending on the geographic site of the vineyard source within the appellation. Soils: Primarily volcanic basalt Jory series soils secondary to lava flows. The predominant type of Jory soil is Nekia, a volcanic, sandy clay loam, shallower than the deep Jory soils found in the Dundee Hills, and located primarily on the hillside uplands. Marine sedimentary rocks and alluvial deposits are found at lower elevations. Climate: The Van Duzer corridor significantly affects weather in the Eola-Amity Hills. The daytime highs are about the same as appellations to the North, but the evenings are cooler due to a mid-afternoon ocean breeze. Commonly, the evening temperatures drop into the 50s even in summer. Flavor Profile of Pinot Noirs: The fruit tends towards blackberry, black cherry and plum with a minerality evident on the nose and the palate. The wines tend to be full-bodied and favor primary fruit character over spice. Compared to the other North Willamette Valley regions, the wines have brighter acidity and firmer structure, along with longevity. 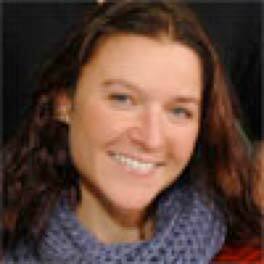 Wines from lower elevations tend toward plum with secondary flavors of earth, herbs and dried flowers. In hot vintages, the wines are more balanced, while in cool vintages ripeness and yields can be an issue. Prominent Producers in the Appellation: Antica Terra Vineyard, Amity Vineyards, Bethel Heights Vineyard, Bryn Mawr Vineyards, Cherry Hill Winery, Cristom Vineyards, Cubanismo Vineyards, Dukes Family Vineyard, Evasham Wood Vineyard & Winery, Kristin Hill Winery, Mia Sonatina Cellars, Mystic Wines, St. Innocent Winery, Strangeland Vineyards & Winery, Toluca Lane, and Witness Tree Vineyard. While visiting Oregon in November, I stopped in at Bethel Heights Vineyard and tasted through the entire lineup of Bethel Heights Pinot Noirs from the 2006 and 2007 vintage. Mimi Casteel, who grew up at Bethel Heights and one of the second generation of Casteels who have gradually assumed management of the property, guided me through the tasting. I also interviewed Ted Casteel, one of the original founders of the winery and vineyard manager for Bethel Heights. His brief, but informative, discussion of the Eola-Amity Hills appellation will be presented on a future Grape Radio program. 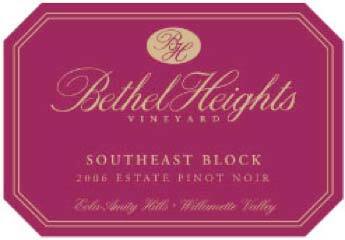 Bethel Heights was founded in 1977 and was one of the first vineyards planted in the Eola Hills northwest of Salem. The 70-acre estate vineyards and winery have been owned and operated by the Casteel family and partners Pat and Barbara Dudley and Marilyn Webb since the beginning. Ted Casteel looked after the vineyards and Terry Casteel made the wine for the first thirty years. Pat Dudley and Marilyn Webb oversee marketing and the business side of the winery. 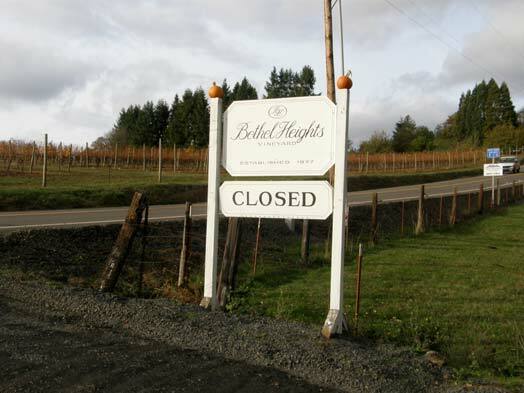 Over the years, Bethel Heights has earned a much-deserved reputation for small lots of distinctive block-designated reserve Pinot Noirs and rich, balanced Chardonnays. The beautiful tasting room with its terrace and picnic area commands a panoramic view (photo below) of the surrounding vineyards, the valley below and Mount Jefferson in the distance. The current production of 13,000 cases includes Pinot Gris and Pinot Blanc, Chardonnay and Pinot Noir. Winemaking duties are gradually being assumed by Terry Casteel’s son, Ben. Most of the wine production comes from own rooted Pinot Noir vines planted over 30 years ago. 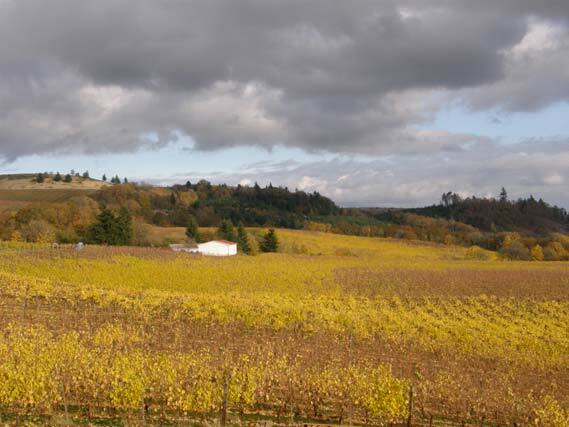 In 1999, the 20-acre Justice Vineyard was planted adjacent Bethel Heights as part of the estate. Seventy-five percent of the plantings are Pinot Noir. The original 50-acre Estate Vineyard is planted on a south facing hillside at 480-620 feet elevation, with shallow well-drained Jory/Nekia soil series. The Justice Vineyard sits lower on the hillside and shows transitional soils between volcanic layers above and marine sedimentary layers below. Ted Casteel pioneered the development of standards for sustainable viticulture in Oregon and Bethel Heights was one of the first wineries certified LIVE and Salmon Safe. 14.8% alc., 143 cases, $50. The first bottling from an extremely well-tended non-estate 4-acre vineyard planted to Pommard, Wädenswil and Dijon 667. The grapes were sourced for blending but stood out so well they were designated. 1.5-ton fermenters were layered with 20% whole clusters and the remainder of the fruit was de-stemmed and placed on top of the whole bunches and left to cold soak for 5 days. Punched down twice a day during the 14 day fermentation. Aged 15 months in 50% new French oak barrels. · A generous wine showing beautiful dark cherry, raspberry and plum fruit with ample acidity and noticeable but not imposing tannins. 14.9% alc., 141 cases, $50. From a 6- section of the estate vineyard planted in 1979. 100% Pommard clone planted on their own roots, trained to a Scott Henry trellis and cropped to two tons per acre. 20% whole cluster fermentation. A barrel selection blended for this reserve wine. · A killer on the palate with massive black raspberry fruit. Muscular but retaining a stylish focus and a creamy texture that is most appealing. Showing just a delicate kiss of wood and gossamer tannins. 14.2% alc., 250 cases, $50. 17 acres planted between 1999 and 2001. Clones 667 and Pommard were selected for a separate bottling. Made up of wine from two fermenters with 50% and 100% whole clusters. 5 day cold soak, racked twice, aged 16 months in 50% new French oak barrels. · Lighter in weight and the most demure wine in the lineup. Pleasing ripe berry and cherry fruits attractively spiced with supple tannins and lively acidity on the refreshing finish. 14.8% alc., 747 cases, $60. 48% Bethel Heights Wädenswil block, 17% Bethel Heights clone 114, 10% Bethel Heights clone 777, and 25% Seven Springs Vineyard (last call!). 25% whole cluster, 5 day cold soak, both native and cultured yeast fermentation, racked once. Barrel aged 13 months in 50% new French oak. Unfiltered. · Dark red fruits and oak spice dominate the substantial aromas and flavors. The perky acidity and slippery tannins make the wine easy to drink and the long, long finish leaves a pleasant impression. 15.2% alc., 141 cases, $50. Composed of Wädenswil clones (UCD 1A) planted in 1977 on their own roots in a 5 acre section of the estate vineyard. These are the oldest Pinot Noir vines at Bethel Heights. In the warmest vintages like 2006, the late harvest allows the Wädenswil clone to achieve maximum flavor development and a few select barrels are chosen for a block-designated wine. Gently de-stemmed and cold soaked for 5 days, then inoculated with proprietary Burgundian yeast, aged 16 months in 50% new French oak barrels. · This is a prodigious wine with massive concentration but is not jammy as there is plenty of acid to balance the fruit. Noticeable oak compliments the spiced and syrupy dark cherry and raspberry fruit leading to a lively citric tang on the finish. The alcohol is held in tow by the impressive balance. 13.2% alc., 1.612 cases, $30. From estate and five sourced vineyards in the appellation. Aged 10 months in 35% new French oak barrels. · Well-spiced cherry and berry fruit with overtones of brown sugar with a sensible grip. A bit of alcohol peaks out on the nose. 13.2% alc.. · Tart cherry and cranberry flavors form the nucleus of this medium-weighted wine featuring lovely floral and herbal notes on the nose and soft tannins on the finish. 13.2% alc.. · Alluring scents of fresh berries, minerals and savory herbs. The fruit is juicy, sweet and subtlety spiced. The perky acidity on the finish makes you want another sip. 13.2% alc.. Primarily Dijon clones 114, 667, 777. · An impressive expression of redder fruits enhanced by Asian spices backed by a bright acidic backbone. A lovely wine of charming elegance. 13.2% alc.. The Flat Block is a 3.3 acre section of the estate vineyard planted in 1979 all to Pommard clone. The rocks underlying this block have a different mineral composition from those of the Southeast Block. As a result, this wine is the most refined and elegant of the Bethel Heights Pinot Noirs. · When I tasted this one I wrote, “Gorgeous” and underlined it. This is classic Pinot Noir with perky dark red Pinot fruits livened with herbs and spice and set off by brisk acidity and supple tannins. This could be the star of the vintage. 13.2% alc.. The grapes from this block were the last to be picked in this vintage. · This is a highly structured and textured wine with tannin to spare. There are copious amounts of black cherry and black raspberry fruit framed by healthy oak, earth and meat. Don’t even think about drinking this wine for another year or two. Bethel Heights is located at 6060 Bethel Heights Road, NW about twenty minutes northwest of Salem and thirty minutes southeast of McMinnville. The tasting room is open from May to October, Tuesday thru Sunday from 11:00 to 5:00 and other times by appointment. Visit the informative website at www.bethelheights.com. The phone is 503-581-2262. Most of the 2006 Pinot Noirs are still available. 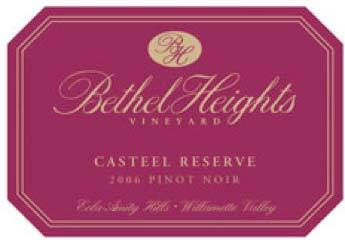 The Bethel Heights Eola-Amity hills Cuvée is the only 2007 Pinot Noir released as of November, 2008. This is a long-established outstanding producer of Oregon Pinot Noir that I can recommend without reservations.